Observation - gall on winter aconite - UK and Ireland. Description: Galls on winter aconite leaves; when mature, burst to reveal black spores. 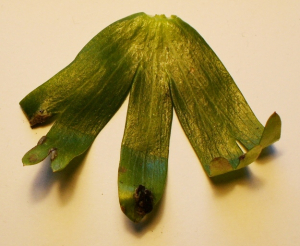 Galls on winter aconite leaves; when mature, burst to reveal black spores.